*Some blackout dates apply, please check with property. $89 deposit voucher secures offer (deductible from total). Voucher number must be quoted upon booking and surrendered to reservations on arrival. Park Regis North Quay is located in a prime river front position in Brisbane close to the CBD for shopping expeditions, Suncorp Stadium for the next sporting fixture, or South Bank, which is one of Brisbane's best lifestyle locations. The hotel offers a range of 4.5 or 3.5 star hotel rooms and 1 and 2 bedroom apartments. ’On Quay’ is the recently refurbished restaurant that extends quality dining seven days a week. Located moments from the city centre with spectacular views, Park Regis North Quay’s location makes it perfect for short business trips or that long awaited leisure break for the family. Contact us for the first step to a fun holiday! One Bedroom Apartment 2 people $368 Package Includes Breakfast. Fastrack to another fantastic Resort! Oaks on Felix offers 40-storey hotel accommodation in the middle of Brisbane’s CBD. With a distinctive curved façade and spectacular floor to ceiling windows, each room showcases the best views in town, taking in the Brisbane city, the Story Bridge, Botanic Gardens, and Kangaroo Point. The hotel offers one and two bedroom apartments, each with fully equipped kitchen, including dishwasher and microwave, and laundry. Guests have access to the 25m heated lap pool, spa, sauna, sundeck, gym and a barbeque area for those long summer days. As well as a hip ground floor café, restaurants and convenience store, Oaks on Felix is adjacent to Eagle Street Pier and its award-winning restaurants, night clubs, bars and weekend markets. Catering equally to the corporate guest as well as the leisure traveller looking for the best vantage point to enjoy Brisbane, Oaks on Felix is a modern blend of the traditional and cutting edge, teamed with friendly, professional service. * Foxtel, * Broadband internet access * Limited undercover parking (subject to availability). * Reception open 24hrs . With a location that places it in the dress circle of the inner city, Oaks Charlotte Towers puts Brisbane at your feet. Stylishly incorporating creature comforts and modern technology, Charlotte Towers still displays the ornate façade of the original 19th century architecture. This prime Brisbane accommodation location, within the city’s business and financial district, is equally close to the shopping heart of Queen Street Mall and the gentler pace of the City Botanic Gardens. It’s also handy to city restaurants, nightclubs and Treasury Casino, movies, theatres, Southbank and the magnificent new Museum of Modern Art. There’s a gym and sauna on the premises, as well as a 25m heated indoor lap pool and outdoor plunge pool surrounded by the barbecue sundeck area. The hotel is popular with both corporate and leisure travellers with rooms boasting well appointed kitchens and full-width windows with spectacular river and city aspects. Some rooms have alfresco balconies which offer an extra dimension to panoramic views of the skyline. Oaks Festival Towers combines a premier position with spacious modern design, first class facilities and technology – on a site that enjoys a unique place in Brisbane’s entertainment history. Offering one and two bedroom contemporary, self-contained apartments each with a private balcony and city views, you’re on the spot for the very best of this relaxed river city: the cream of café society is at the door, and it’s an easy stroll to the Queen Street Mall, Treasury Casino, the beautiful Botanic Gardens and the Sunday Riverside markets. Sample top restaurants and late-night bars, irresistible shopping, galleries, theatres, movies and museums, all nearby. And in the hotel foyer the unique ‘wall of fame’ pays homage to legendary acts, like the Beatles, who performed on the Festival Hall stage. Business travellers will savour proximity to the city’s financial and commercial heart, while excellent access to public transport will get you everywhere with ease. Oaks 212 Margaret, a contemporary, spacious tranquil 4 ½ star property. Oaks 212 Margaret, is the perfect base from which to enjoy everything Brisbane has to offer. Cool café precincts and fine dining, theatres, nightclubs, busy streets and leafy corners. Enjoying breathtaking river, city and parkland views, 212 Margaret is just an easy stroll from the financial, commercial and shopping heart with its great restaurants and entertainment venues. Excellent access to public transport makes getting around a breeze. Adjacent to the Botanical Gardens, overlooking the Brisbane River, and yet only minutes from the CBD, Oaks 212 Margaret is a logical choice as a base for exploring Brisbane’s historic centre, entertainment options or when visiting for a conference or event. Oaks 212 Margaret offers a range of luxurious 1 & 2 bedroom self contained apartments all with air conditioning and state of the art room facilities. There is also a luxury two storey four-bedroom penthouse which boasts the pinnacle of facilities, services and uninterrupted views. Health and well-being are catered for year round, with the property’s in-house heated pool and gym, and a resident health, fitness and lifestyle consultant for your personal requirements. Spring into the Oaks Lexicon for a fresh new look this season, offering the perfect affordable accommodation close to the CBD, central station, and Fortitude Valley. Spacious, sophisticated and self contained, Oaks Lexicon is one of the cities most contemporary and stylish buildings. A recent make-over has refined interiors, added a new edge to the modern décor and ignited a sleek ambience that will delight those looking for a classy place to stay at a great price. The cities most popular restaurants and bars are just a short stroll from Oaks Lexicon, or choose the added convenience of self-catered dining with gleaming gourmet kitchens fitted with quality stainless steel appliances. Generous sized apartments are perfect for an intimate dinner party but cosy enough for a romantic rendezvous too! Balconies boasting city views, a heated swimming pool and BBQ podium area with a Tuscany feel, gymnasium and undercover parking on site ensure Oaks Lexicon is the savvy choice for discerning travellers who will love the quality, and also delight in Oaks Lexicon’s supreme value. Within walking distance of all that Brisbane has to offer, Oaks Aurora Tower is a modern 69-storey landmark building popular with business travellers. Hailed as a masterpiece of inspired design, the hotel is superbly appointed with resort-style amenities and commanding panoramic city and river views. Comprising 1 and 2 bedroom self-contained apartments, fully equipped with kitchen and laundry, reverse cycle air-conditioning and spacious balconies, Oaks Aurora Tower also offers a 25m heated lap pool, recreation deck, spa, sauna, gym, cinema and guest lounge. iStay River City overlooks the Botanic Gardens and the Brisbane CBD, and offers hotel apartment accommodation known for its contemporary style, convenience and amazing views. With a selection of 1 and 2 bedroom apartments, each boasting full length windows, full kitchen and laundry amenities and balconies averaging 20m² to really take advantage of the views and alfresco lifestyle, iStay River City is the choice of discerning business and leisure travellers. Everything Brisbane has to offer is in walking distance, including the sophisticated shopping and dining strip of Queen St Mall, South Bank and all its entertainment options and the tranquil green space of the Botanic Gardens. The resort facilities are second to none and include a 25m heated lap pool, spa, sauna, gym, large entertaining deck with seating and barbeque. Undercover car parking is also available (daily fee applies). Located in the hub of Brisbane’s historic CBD, The Oaks Casino Towers is a 4.5 star apartment hotel boasting spectacular views over the city or River. Adjacent to Treasury Casino and a short stroll from the South Bank precinct with its museums, art galleries, theatres and boutique shopping. The one or two bedroom apartments are all luxuriously appointed with European-style appliances and quality finishes, ducted air-conditioning and spacious balconies. Throughout the year, Brisbane is host to a variety of top international events and festivals, including Rugby, Cricket, AFL and other sporting events, as well as world-renowned performers and local celebrations. The Oaks Casino Towers places you right in the heart of the action, yet amid the verdant Botanic Gardens quarter of Brisbane. To unwind and recharge, there's always the heated 25m glass-walled lap pool, spa, gymnasium and sundeck overlooking the Brisbane River. Mon Komo “My Dream Place” on the beach at Redcliffe is the newest resort style accommodation located only 35 minutes from Brisbane’s CBD precinct and close to Brisbane l airports. Surrounded by restaurants, cafes, shopping, entertainment, recreational activities and only moments to the beach there is plenty to see and do whilst staying at Mon Komo. With all the facilities of a beachfront resort you can be sure to enjoy the luxury of the hotels spacious hotel rooms and fully self contained 1, 2, and 3 bedroom apartments, most with spectacular ocean views over Moreton Bay. Spacious apartments complemented by contemporary coastal décor & luxuriously appointed kitchens with stainless steel appliances and full laundry facilities. Some exclusions apply, . Please contact us for high season/peak dates. All offers subject to availability and room allotment. Offer only to be used with the purchase of a $89 Oceanroad Deposit voucher. OFFERS ONLY VALID WITH PURCHASE OF A $89 OCEANROAD DEPOSIT VOUCHER. OFFER ONLY VALID WITH PURCHASE OF A $89 OCEANROAD DEPOSIT VOUCHER. put in your promotional unique code and book yourself in. Only $89 deposit will secure your Oceanroad special rate on this property, call us to grab a voucher today!! 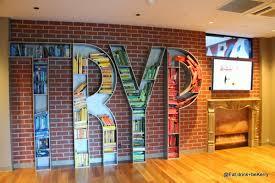 TRYP Fortitude Valley Hotel is Brisbane’s only street art hotel, where guests enjoy Complimentary Wi-Fi with unlimited downloads, Complimentary Valley Pool access, onsite gym, rooftop bar and lobby level restaurant. If you are looking for Brisbane accommodation, then go no further. The hotel features contemporary design and striking street art by world-acclaimed artists Magee, Numskull, Rone and Beastman coupled with an exceptional blend of finishes showcasing elements of Brisbane’s unique heritage, including 150 year old renewed timber flooring. Rustic features timelessly fused with clean lines and ultra-contemporary fittings will feature throughout the hotel, guest rooms and social spaces. TRYP Fortitude Valley Hotel offers some of the best Brisbane CBD accommodation with a choice between five different rooms. Relax in our stylish, open plan Fortitude Valley rooms and catch up on some well-deserved sleep. All rooms offer entertainment features including complimentary Wi-Fi, an iPod docking station and a 40-inch LSP TV with movies on demand. TRYP offers a selection of room types ranging from private balconies with spa’s, internal spa rooms, funky private courtyards and themed artist rooms.